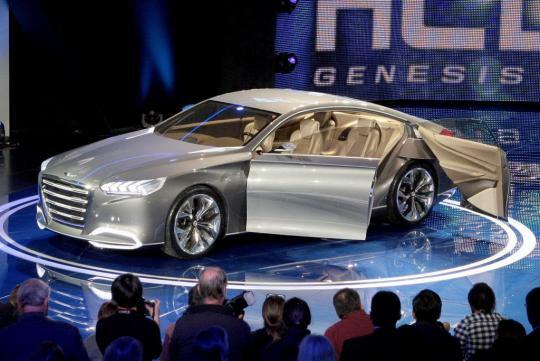 Hyundai has unveiled the HCD-14 Genesis concept at the 2013 Detroit Motor Show. 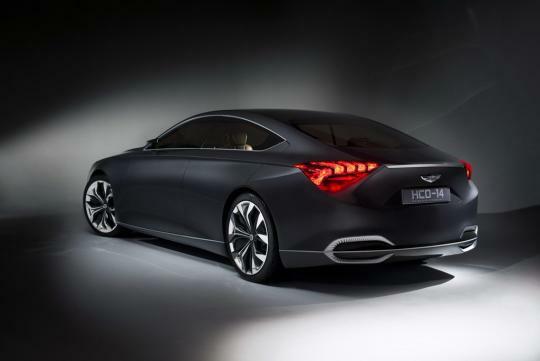 The four-door coupe concept is a preview of the next generation Genesis and carries design elements for future Hyundai products. 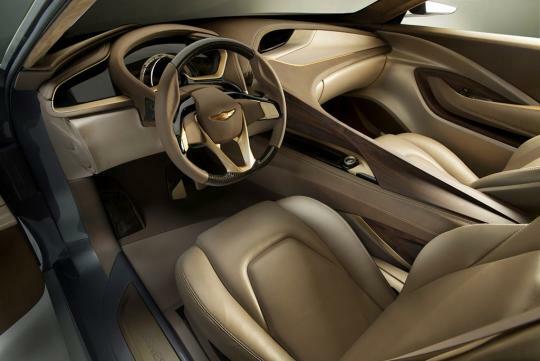 The concept is powered by the Korean carmaker's 5.0-litre direct-injected 'Tau' V8 with dual continuously variable valve timing. 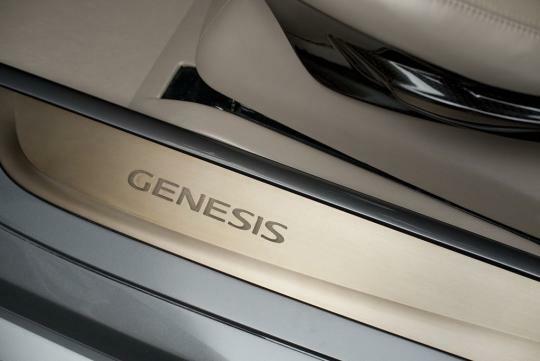 The engine is linked an 8-speed automatic transmission which delivers power to the rear wheels. 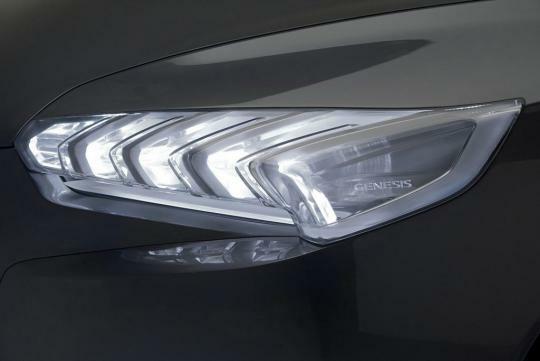 "We instilled HCD-14 Genesis with a premium-sport four-door coupe road presence", said Christopher Chapman, Hyundai's Chief Designer in America. "Its sleek and lightweight silhouette does not punish the wind but used fluidic precision with dramatic surfacing that conveys natural restraint." The front end is dominated by a large grille with 4 horizontal metal bars, which can appear overbearing. 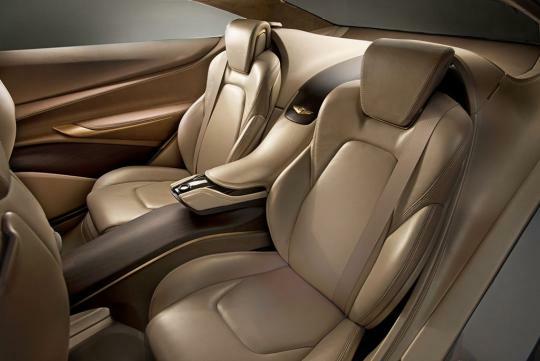 The concept has a tapered boot like the Audi A7. Perhaps the most interesting aspect of the HCD-14 is its rear-hinged rear doors, or commonly known as "suicide doors". 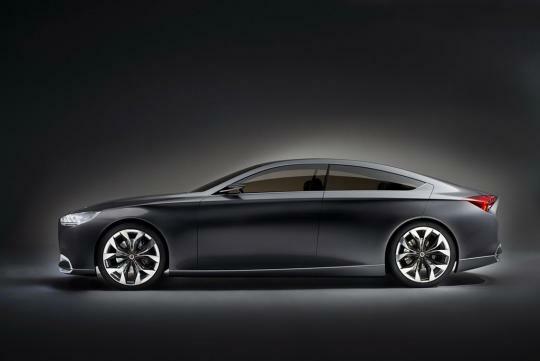 Like most four-door coupes in the market, the HCD-14 strictly sits four.